Besides Jio, True Balance provides balance checking services for other telecom companies including Vodafone, Airtel, Idea, Aircel and BSNL, according to its website. 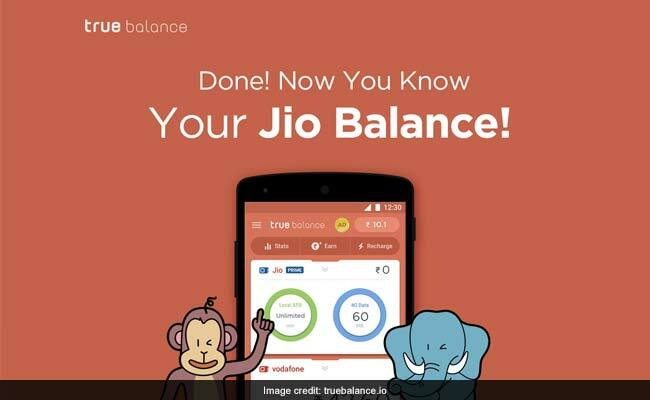 True Balance, an app that enables prepaid smartphone customers to keep track of consumption of mobile data, has introduced a balance check service for Jio users. The free facility enables Jio users to monitor multiple SIMs in one view, get alerts of low balance and imminent expiry and monitor data usage, True Balance said in a press release. "With Jio being a paid service from April 1 this year, it has now become imperative for Jio users to keep a track of their Jio SIM data usage. While calls are free on Reliance Jio, users' balance is now going to be used to pay for chosen data plans, and of course, excess data consumption," True Balance added. Commenting on the new feature, True Balance CEO Charlie Lee said: "Whether you're a Jio Prime user or not, checking mobile balance is going to be important for all users. Jio provides unlimited data but it has a limit of daily data use." Aggressive calling and data tariff pricing by new entrant Reliance Jio has led to strong competition in the Indian telecom sector, say analysts. "For example, a user who purchases Rs 309 combo pack can only use 1 GB per day. So it is important for users to keep a track on their mobile spends and check their remaining data balance. We have also introduced first kind utilizing SMS based technology for balance checking which is free and does not require any data connection," the True Balance CEO added. Jio, the telecom arm of billionaire Mukesh Ambani-led conglomerate Reliance Industries, is offering a variety of recharge options and plans to give benefits of hundreds of GBs of 4G data to its prepaid and postpaid subscribers. While its prepaid recharge packs are priced between Rs 19 and Rs 9,999, Jio's postpaid plans range from Rs 309 to Rs 999 per month. Once on the app, swipe down to proceed. Allow the app to send an SMS to Reliance Jio. This SMS would be free of charge, True Balance said. The app presents the details after this step. True Balance app can also be used for recharges and the app also recommends recharge plans based on data and frequent app usages. 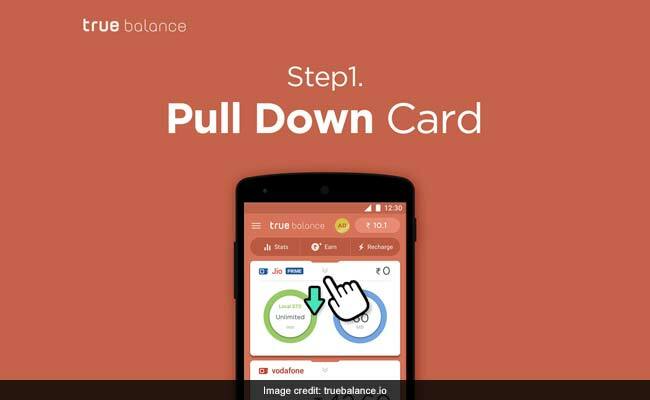 Launched in 2014 by Balance Hero, the True Balance app is currently available for prepaid users on Android only.